The incidence of Type 2 diabetes is rising everywhere in the world. The three countries with the highest number of people with diabetes are China, India and the Unites States of America, countries with different customs, culture, and cuisines. Yet, Type 2 diabetes is explained by experts as a condition caused by the development of “insulin resistance,” one that can be controlled by medications or insulin injections. This has spawned a coalition of groups that profit and benefit from the theory – including the pharmaceutical industry, the agricultural industry, food manufacturers, academic and government researchers, diet and nutrition practitioners, and public health policy makers. Numerous associations claiming to represent people with diabetes raise billions of dollars to support awareness and education about diabetes, often confusing the public by confounding Type 1 and Type 2 diabetes, which are completely different. If you are concerned about type 2 diabetes, you need to be aware that you can reverse and prevent diabetes on your own simply by avoiding eating grains. 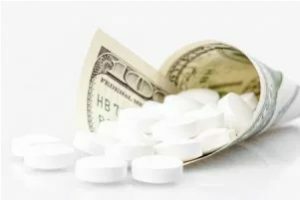 If you want to understand the inside story of the profits and politics of the diabetes industry that are playing a role in your treatment, please read on. The insulin resistance theory took hold about 80 years ago, when the discovery of insulin and the astonishing benefits of its administration to children with Type 1 diabetes made specialists in hormonal diseases absolute and unquestionable experts in managing any medical condition with high blood sugar levels. When adults were discovered to have high blood sugar and high insulin levels, they explained it by saying that the body had become “insensitive” to insulin, without demonstrating a cellular mechanism. Today, the pharmaceutical companies aid the medical profession’s efforts to keep insulin resistance as the cause of type 2 diabetes, as they make billions of dollars selling medications that force the pancreas to produce more insulin (which makes no sense if insulin resistance is the cause of diabetes), or that force the body to eliminate sugar through the urine, or insulin injections of various formulations that can be easily administered. Meanwhile, the National Institutes of Health contribute to the continuation of this narrative by not providing funds for basic research that would have invalidated the concept of insulin resistance in type 2 diabetes. The Centers for Disease Control and Prevention also aids the status quo by incorporating clinical trials based on this faulty concept into clinical and public health practices, while being fully aware of the fact that even strict control of blood sugar does not ensure escaping diabetes-related complications. The agricultural industry, invoking the need to feed a growing number of people, benefits from billions of dollars in farm subsidies to grow grains. Refiners produce cheap grain-flour of various textures that can make innumerable items to eat. The restaurant and food manufacturing industries advertise whole-grain and multi-grain products, completely ignoring the fact that digestion of these leads to absorption of glucose into the body. The diet and nutrition experts promote gluten-free items, fiber-rich foods, and fool people with “diabetic products” with low sugar content as if natural sugar is the cause of high blood sugar. Finally, the public health policy makers enable consumption of grains and grain-flour products by millions of people through food supplementation programs for low-income Americans and school-lunch programs. They aim to create fullness of the stomach the cheapest way possible, without analyzing the long-term complications such as obesity and diabetes. The ongoing march of Type 2 diabetes caused by overconsumption of grain products is leading to two predictable calamities. The first is financial. Specifically, the United States is forced to spend almost a billion dollars a day to care for obesity, diabetes, and its complications. The second is the rising incidence of cancer, in that cancers of the liver, pancreas, colorectum, breast, urinary tract and endometrium appear to afflict people with diabetes more compared with people with no diabetes. I maintain that the insulin resistance theory is full of inconsistencies, inexplicable logic and many unanswered questions: Why are humans developing insulin resistance but not resistance to the other three hormones (glucagon, epinephrine and cortisol) that also control blood sugar level? Are humans evolving to become insulin resistant? Seems unlikely, because most evolutionary changes occur to benefit an organism, not make it function in a worse way. My more than 20 years of study have taught me a far better explanation for the cause of diabetes: the overconsumption of grains and grain-flour products causing a normal body metabolism to go haywire – the use of fatty acids rather than glucose as the fuel that muscle cells burn. My theory explains why thin and fat people both can develop diabetes; why younger and younger children are developing diabetes; and why pregnant women can have gestational diabetes and lose it within days after giving birth. It also explains that if you cut down eating grains to almost zero, you will see that you can lower blood sugar and reverse diabetes. Practitioners of medicine, while constantly fighting against people’s suspicions and fears, nevertheless have to be cognizant of their own mistakes—and the insulin resistance theory is one of them. People who develop diabetes pay dearly with their organs, limbs, and life for this medical blind spot. We cannot expect the current situation to change unless we question a huge industry that profits from it, starting with demanding that diabetes experts prove the validity of the concept of insulin resistance. I am not selling a diet program or any food products. I wrote my books for you to take control of your own body and return it to health. Here is a Sneak Peek of the cover for my forthcoming book Diabetes: The Real Cause & The Right Cure! Pre-sales of the book will be available on Amazon soon. Keep checking into my blog, my newsletter or join me on Facebook for updates! I thank you in advance for helping me spread word of this important new information.